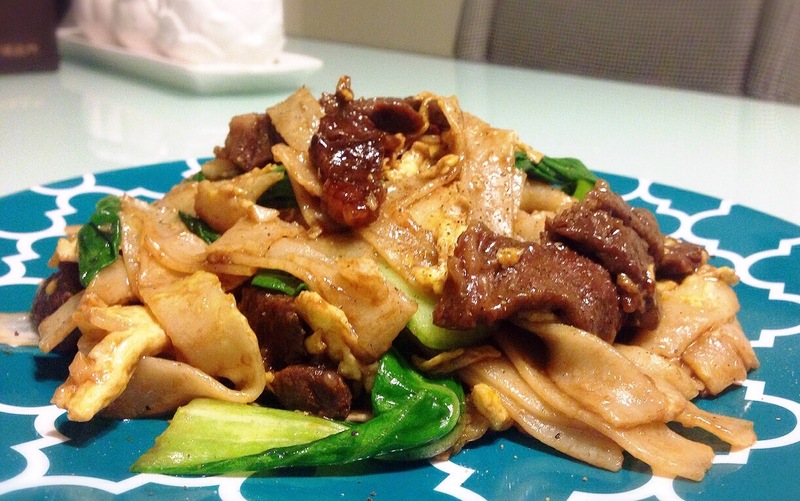 One of my favorite takeout dishes back in Texas is the delightfully simple beef flat noodles. I had it at least once a week in college (I miss you, Hoa Hoa!) and probably twice as much after. To me, it was the Chinese restaurant staple. So when I came to Korea, and now Japan, I figured every Chinese restaurant would have it. Well I was wrong. Apparently, it’s an “American Chinese” thing. I don’t know if that’s true; but either way, I wasn’t getting any. It’s taken me a couple of years, but I was finally brave enough to try it today. I must say, I’m much more confident in my cooking skills lately. I followed an easy recipe online and got some Kobe beef so I wouldn’t have to play guessing games on whether the beef would come out too chewy or not. The entire process took an hour to prep and cook, but below is my final product. It was pretty tasty! Not late-night, guilty-pleasure Hoa Hoa tasty, but my tummy is pretty pleased.